A picture is worth a thousand words, it's said. Sometimes, the picture completes the story, and sometimes a picture is all there is to remember an event or a person. This section is where we'll place all our Alger County photographs, from people to places. If you have pictures you'd like to see displayed at this site, please contact me. Clicking on the thumbnail pictures will take you to a larger version. Frankfort Hunting Club on depot platform at Lawson, November, 1905. Can you identify the men? Au Train fisherman, 1912. Men identified; click on picture. 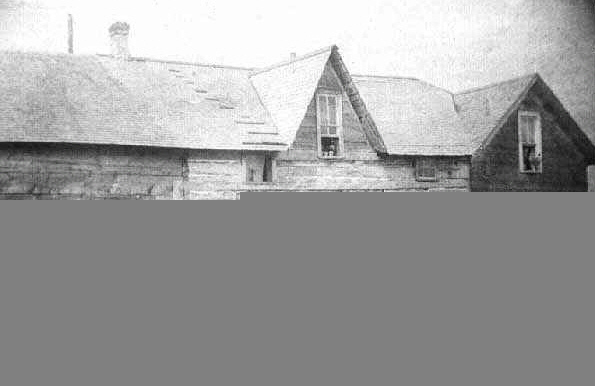 Old Munising Hospital, constructed in 1910. 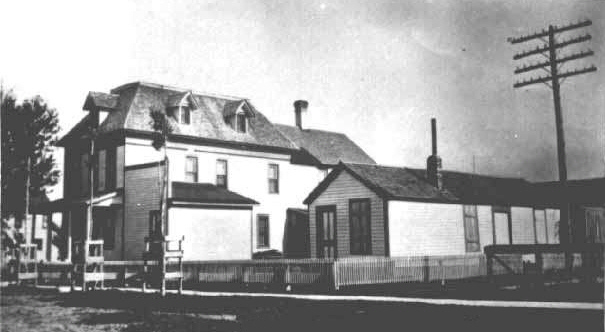 Limestone Swedish Lutheran Church, about 1910. 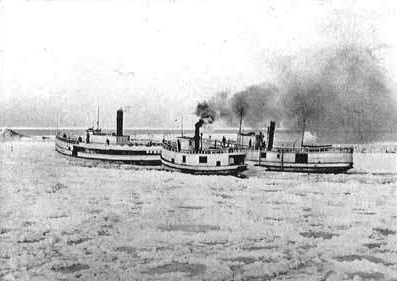 The Munising Leather Company, 1896, the largest sole leather tannery in the world. 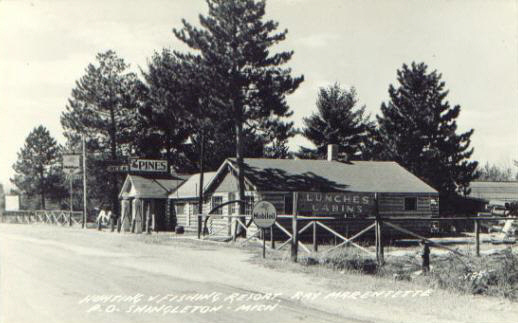 Munising Woodenware, located on East Munising Ave, opened around 1910, closed late 1950's. ...that in its 913 square miles, Alger County has 17 waterfalls and 266 inland lakes?